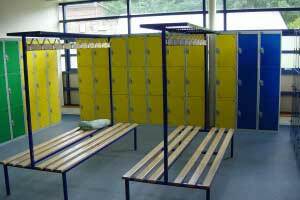 Since 1975 ESE Projects have been assisting customers with the design, supply and installation of commercial quality metal lockers, plastic lockers, wire lockers, stainless steel lockers and wood or laminate door lockers (laminate or wood doors with metal carcass). 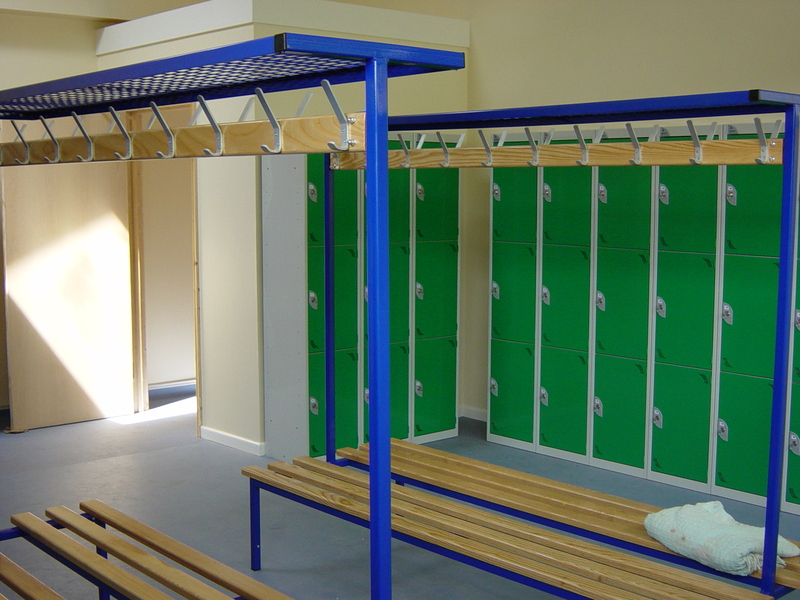 All our changing room lockers / cloakroom lockers are engineered to provide a sturdy carcass unit and doors with secure locking options to provide safe storage of the users belongings. 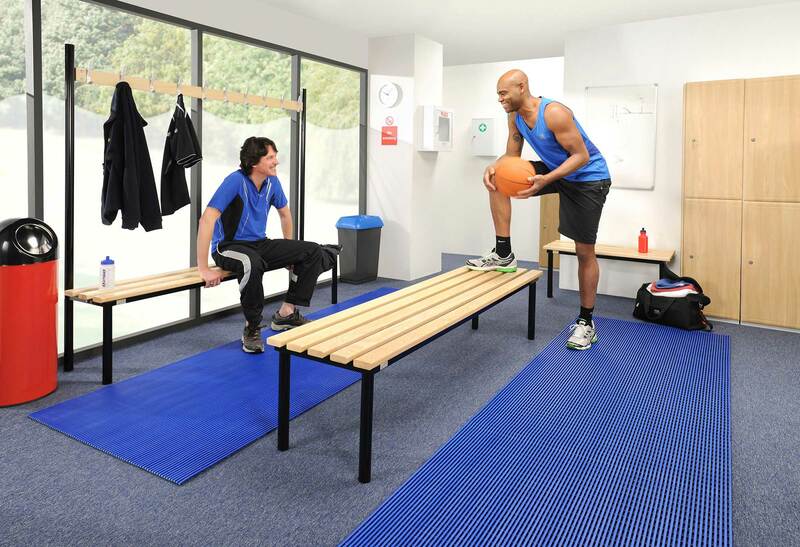 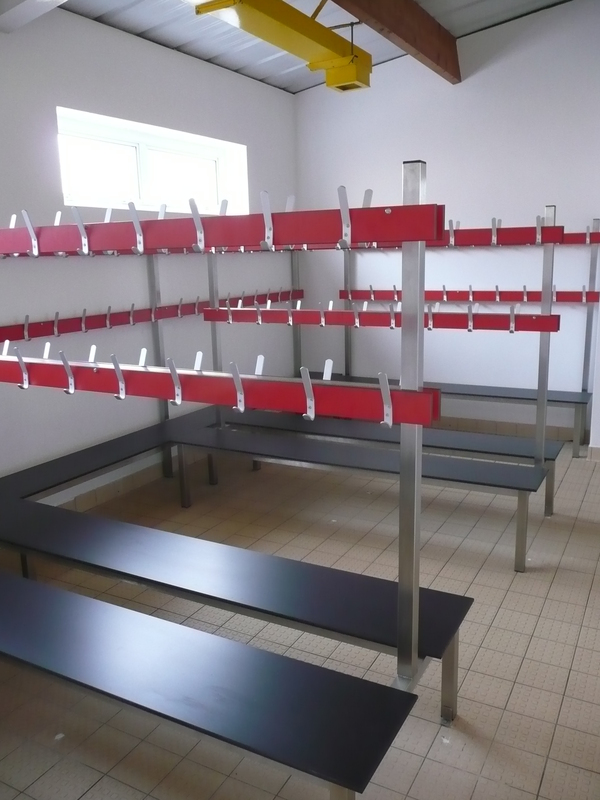 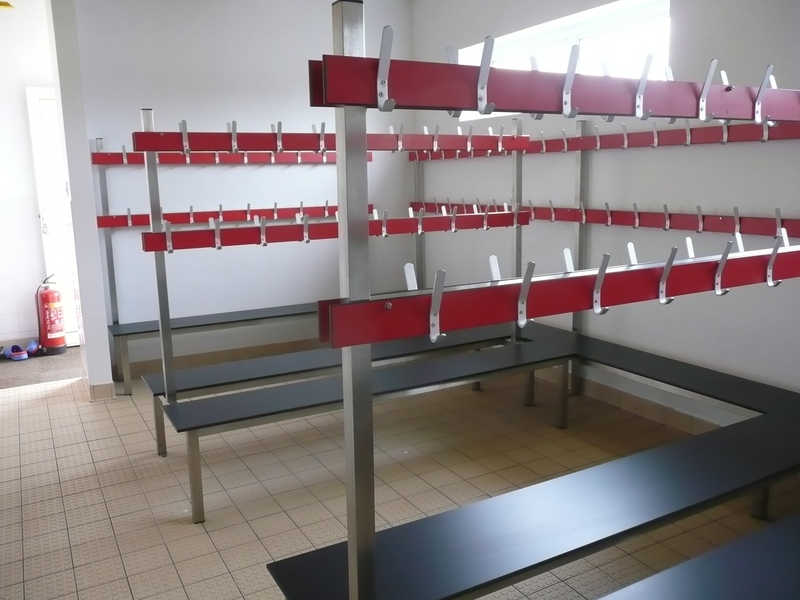 Good changing room design is important and in addition to the lockers we manufacturer our own ranges of cloakroom seating. 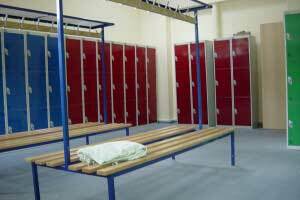 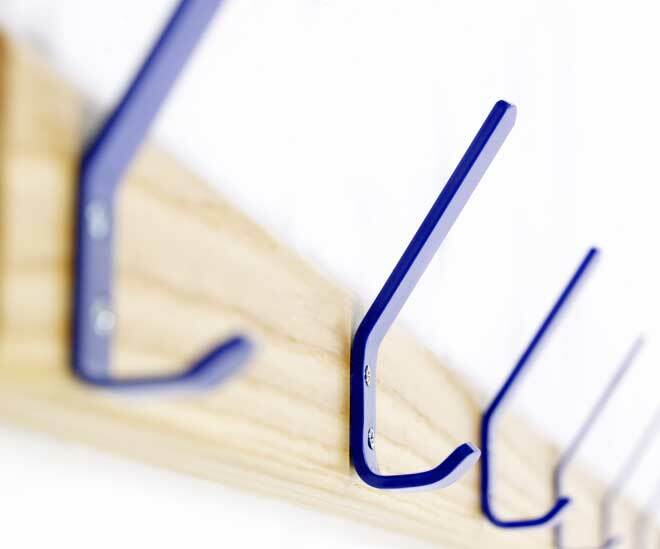 If we can assist you in any way with the design and supply / installation of cloakroom lockers or furniture in your changing facilities please do not hesitate to get in touch soon. 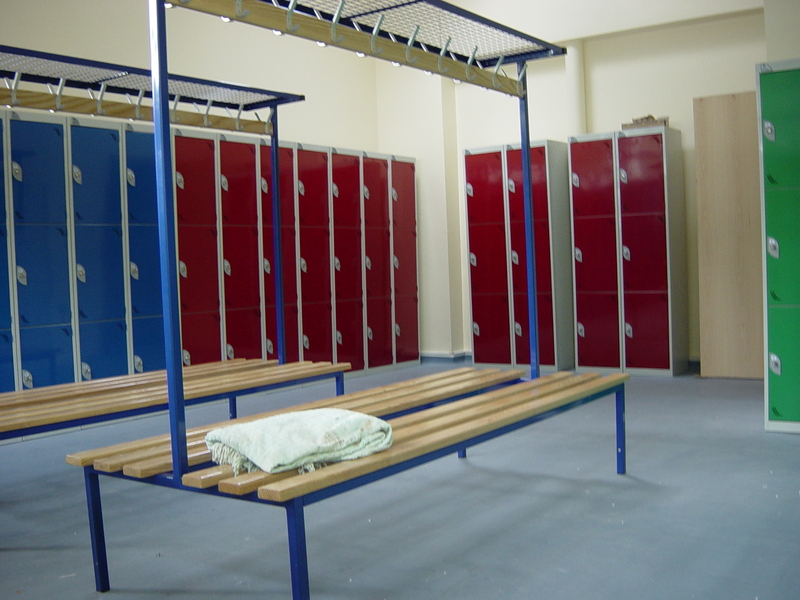 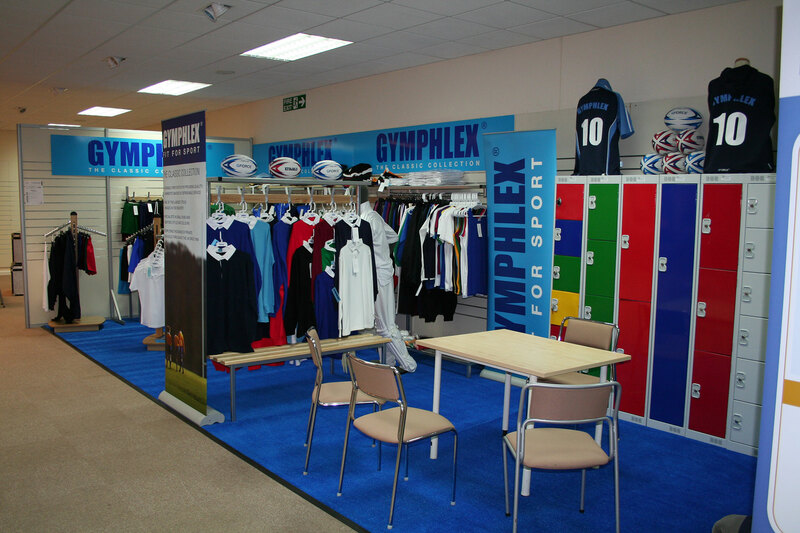 From pubs/clubs, sports clubs, leisure centres, swimming pools, schools / colleges / universities and hospitals, to police stations, fire stations, ambulance stations, prisons and in factories, warehouses and offices, there hundreds of places that lockers can be and are used to provide secure storage storage of personal effects, clothing, sports equipment, uniforms and even post/mail as we have post box lockers available as well. 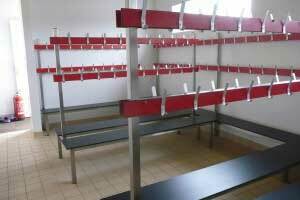 Metal Lockers - 300mm - 305mm - 380mm - 450mm - 460mm - 600mm wide by 300mm - 380mm - 450mm - 460mm - 600mm deep. 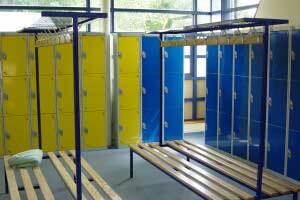 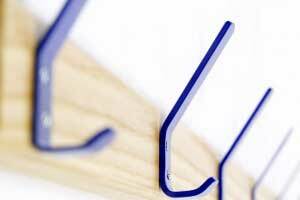 Plastic Lockers - 325mm wide by 450mm deep. 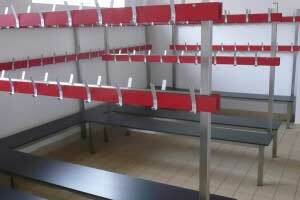 Wire Lockers - 150mm - 305mm wide by 305mm - 457mm deep. 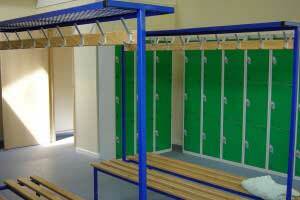 Wooden or Laminate Lockers - 300mm - 305mm - 380mm wide by 300mm - 380mm - 450mm deep. 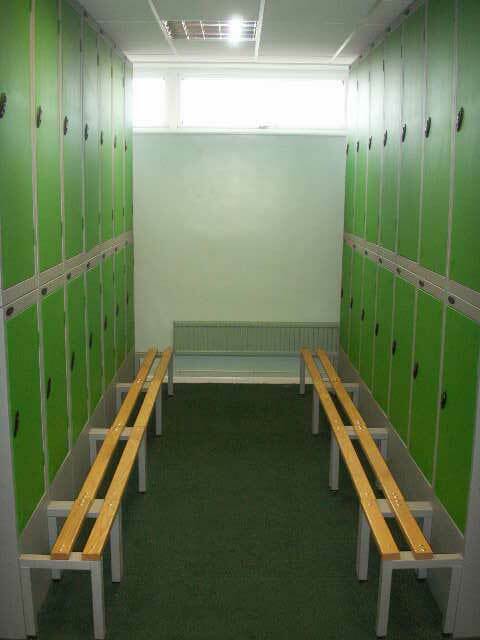 Also in most of these locker ranges you can have "nests of lockers" (sometimes also called tiers) which is basically 2, 3 or sometimes 4 lockers joined together at the factory to make one unit with common vertical dividers to keep costs down and also to make fitting lots of lockers in long runs much easier as well as more stable. 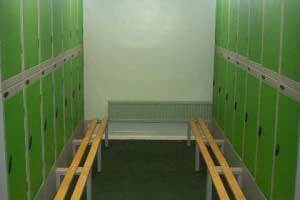 For example a Nest of Two single door lockers 300mm wide x 450mm deep, would comprise of a single locker unit measuring 600mm wide x 450mm deep with two doors side by side when delivered. 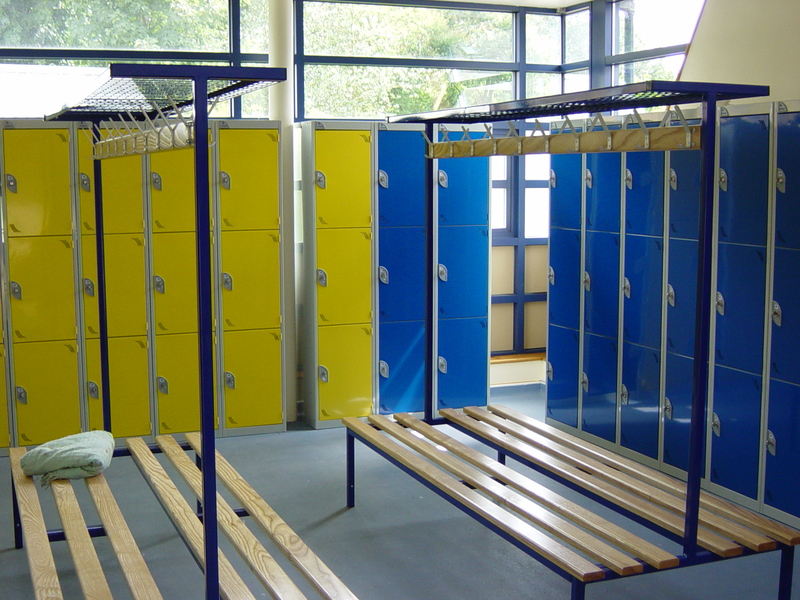 Lockers are available in in a variety of formats from single door locker to multi-compartment lockers, laptop lockers and charging lockers, all designed specifically to provide maximum storage capacity in the smallest spaces possible. 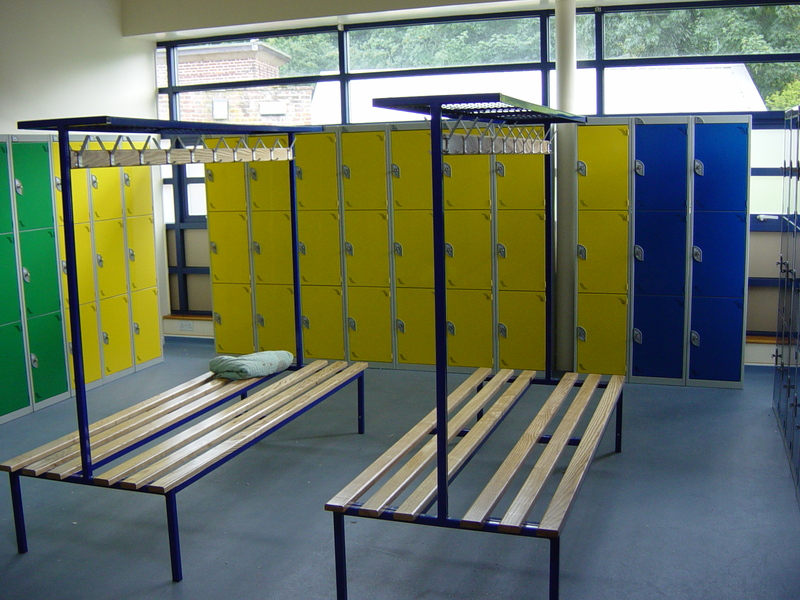 The number of doors in the height of each locker can vary from a Single door for clothing, uniforms and generally long item storage, Two door and Three door for bags / holdalls and folded up clothing, Four door, Six door or Eight door for small bags and personal possessions or Ten door / Sixteen door for purses, phones and small items.